Wear your Flames colours with pride. 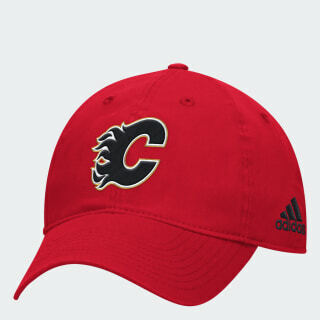 This cotton cap flashes an embroidered Calgary Flames logo on the front. The hat has a pre-curved brim, and a back buckle lets you adjust for a perfect fit.